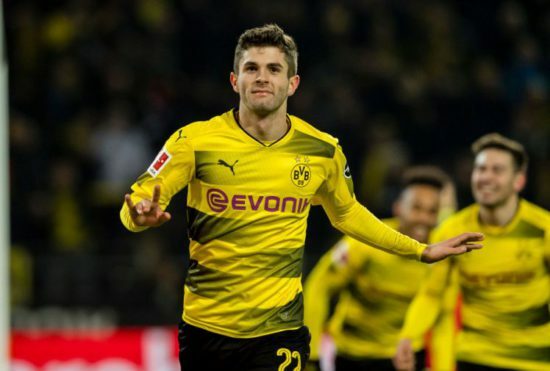 Reports are out claiming that Chelsea’s owner, Roman Abramovich has begun talks with Borrusia Dortmund to sign their winger, Christian Pulisic. Having already secured the services of Jorginho from Napoli, the club need fresh legs to inject energy into the team and American wonderkid has been identified to bolster Maurizio Sarri’s squad. According to reports (Daily Mail), Chelsea owner and Chelsea Director Marina Granovskaia scheduled a meet to plan recruitment for the coming season. And that they have also met with Dortmund official to iron out a deal for the 19-year-old American. The Blues are not the only admirers of the highly coveted American international. It is not a secret that Jurgen Klopp is an avid admirer of the American wonder kid who he had known since he was a lot younger. He even had a bid of around £11 million submitted for the player back in 2016 which was of course declined. The player who scored five goals and registered seven assists in 42 appearances last season has come of age. His all action play has seen the Blues go all out for him. Sources have pegged his transfer value at £62 million. Chelsea are also in talks with Juventus over potential deals for Gonzalo Higuain, Daniele Rugani and Mattia Caldara.